Are your gutters ready for every season in Kansas City? Kansas City’s weather can keep you on your toes. From spring and summer rains to the ice storms of the winter months, Kansas City residents know that their homes need to be well-protected against the weather. Your gutters are an essential part of your home system, and they need to be able to keep up with whatever the weather brings each year. Clogged gutters should be cleared as soon as possible. That’s because an overflowing gutter isn’t just a gutter problem: it’s a home problem. Overflowing water can damage your siding, your landscaping, and your foundation. In the dry months of the year, accumulations of branches and leaves also attract nesting animals that can further clog up your gutters. When you need a better way to keep your gutters flowing smoothly, turn to Gutter Helmet®, America’s most trusted patented gutter protection system. Gutter Helmet® protects your home using a patented nose-forward gutter guard design. It helps water move into your gutters, while debris slides off the end. This means the water that falls on your roof moves easily into your downspouts and away from your home seamlessly. You don’t need to get up on a ladder and help the process along. Do you worry about the damage an ice storm can bring to your house? Rest easy; you can protect your Kansas City home. At Harry Helmet, we’re ready to keep your winter gutters clear just as we are during the spring and summer months. Snow and ice are pretty, but they’re also challenging for your gutters. The weight of snow and ice accumulation can warp your gutters, while and ice can work its way under your roofing, leading to leaks. Our Helmet Heat product allows you to stop ice before it begins to accumulate in your gutters. Our gutter heating system gently warms the ice and allows it to flow freely through your gutters, protecting your home from snow and ice damage. 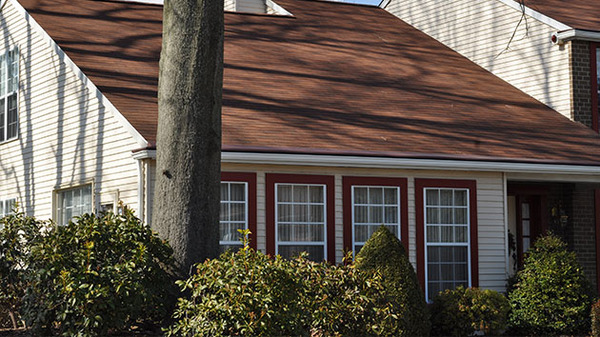 Gutter Helmet blends in with your home and has a triple lifetime warranty. There are many types of products for your gutter, so it’s important to take a close look before choosing one. Products that allow leaves or debris to accumulate inside or on top of the gutter filter don’t work in the long term. If you want a long term solution and you don’t want to climb a ladder to clean your gutters, you need a gutter cover that works. With Gutter Helmet®, you’ll never need to climb up a ladder to clean your gutters. In fact, our gutters come with a triple lifetime warranty for installation and for the gutter covers themselves. Instead of worrying about whether you’re installing your gutters correctly, you can turn to Harry Helmet’s experienced installers who have many years of experience. 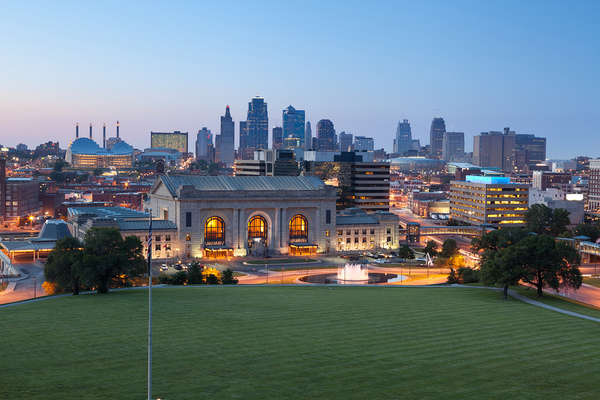 We work with all types of roofs in all climates across the United States; you can be sure that Gutter Helmet® will protect your Kansas City home. Your home is your place to relax and feel safe and comfortable. It shouldn’t be a focus of your worries. Stop climbing ladders and call Gutter Helmet® of Missouri. We’ve been protecting the nation’s gutters for over 35 years, and we want to make your life a little easier. Never clean your gutters again: contact us to learn more about gutter guards today.